Like so many others of my generation, I read Catcher in the Rye as a teenager. I don't remember being deeply affected by the novel, but then again I was a somewhat self-absorbed and relatively unschooled youngster. I liked Studs Lonigan better, for some reason. However, I know now J. D. Salinger's work altered the literary scene more than I then appreciated. 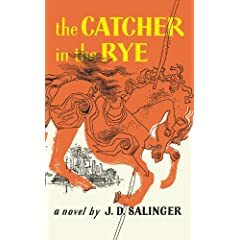 My Internet Review of Books compatriot, George O'Har, has written an intriguing essay discussing Salinger, which readers can find here.